As the title suggests, there are a few different grid variations to choose from. 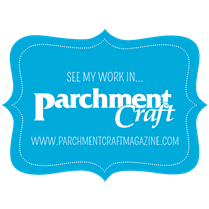 Generally, if you are talking about a grid for parchment craft then you would be talking about a Straight Grid. This is a grid with holes all the way over it, all at equal distances from each other in vertical/horizontal lines. There are 2 versions, fine and bold and they have different names depending on the brand of the grid. The only difference between the fine and the bold grids are the size of the holes, the needle you use should fit the hole nicely so when you pierce the parchment through the hole and make a perforation, it becomes a nice round perforation and every hole you make will be the same. So, if you were to use the bold grid then you will need a slightly thicker needle than the fine grid. You will also see on the market the older type mesh grids, that are perfectly good to use although it’s more difficult to get uniform perforations because of the ‘movement’ in the mesh. As you can see from the picture below, you can use a grid to make perforations in your parchment and also to emboss dots and it is exactly the same whichever grid you use. If you have ever done cross stitch, counting across your pattern to work your stitches on open weave embroidery material, then you have a slight advantage for using grids as a counting method is used to transfer your pattern to your parchment exactly the same way as in cross stitch. Saying that, it is not difficult and with a little practice you will be on your way. To way to use a plain or diagonal grid place your parchment on the top of the grid and tape it down. Put your pattern to the side of your work so you can count the holes according to the pattern and perforate using a single needle tool . Then are also a multitude of various ‘fancy grids’ like the Pergamano multigrids and Siesta Grids. These are much simpler to use as they already have patterns and borders on them, eliminating the need for counting. Place your parchment on top of your grid and tape it down. First of all you emboss the sections you would like to emboss and then turn the grid over leaving the parchment in place and perforate through the holes according to the pattern. It is a sampler made from the complete grid, made by my friend Maggie Byford, this is to show how the whole grid would look but also, to show how you can take parts of it for your own parchment work, not forgetting that you can make extra layers for a 3D look. Extra samples below are from the girls in my classes, one of them used the grid to make segments to cover a box which looks fantastic. There are also a couple of cards to show how you can use it to make your own cards as well by adding glitz and glitter to give that extra bit of sparkle. I love pretty papers, and we have so many pretty papers, including parchment papers and vellums, in the shop that I thought I'd play around a do some paper folding which seems to be in my mind at the moment. I happened to be surfing around the Internet...as you do....and saw something like this on my travels so thought I'd have a go with some pretty pink flower fairies vellums. 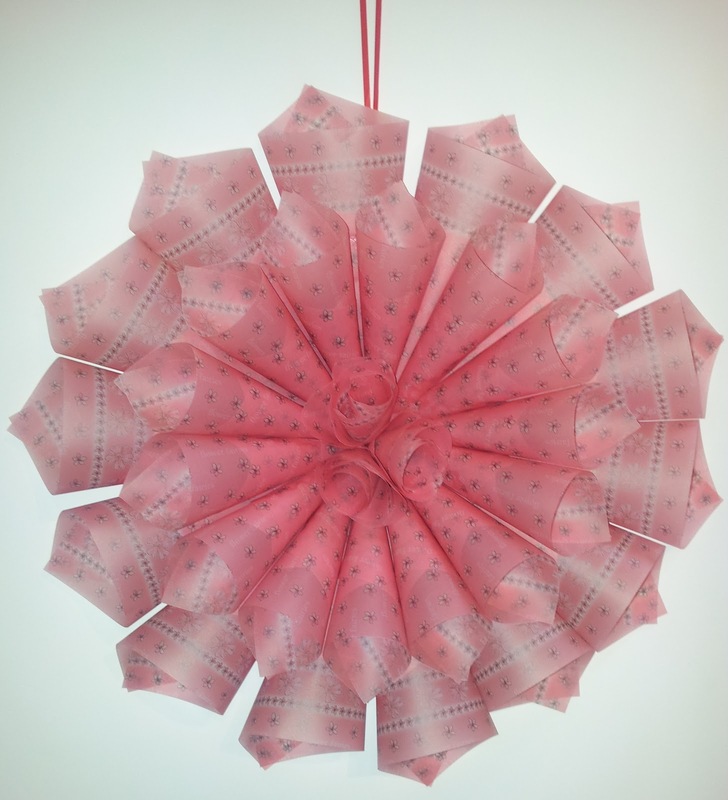 I used A4 papers for the back so its actually quite large, measuring about 50cm in diameter, but of course it can be made a lot smaller and I thnk a teeny weeny one would make a great embellishment for a scrapbook page or a card, but this one is perfect to hang in the shop window.